The hostel is a property with 6 small rooms, a living room, a kitchen and a patio garden, and we are starting our first garden of spices and vegetables in the the backyard. 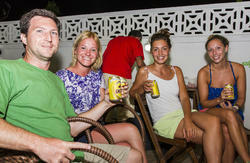 We offer not only cheap and comfortable accommodation, but an understanding of the popular culture and life in the city. 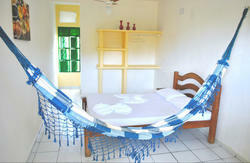 The Leal Companheiro Hostel is a large site located in the village of Ponta Negra in Natal -RN about 400m from the beach. The space is a house of 6 different rooms, each has its own bathroom, wrapped an internal garden. We have a common room and kitchen with stove and refrigerator and a living room with cable television. We have three members of the same family residing and administer the hostel, plus an official handyman. We have dogs and have a reception between 8am and 6pm. Each guest will have access to your own bed and locker, with clean sheets, pillow case and pillow. Has its own copy of the internal and external access keys and will have to take responsibility for them. We have cable television, books, wireless, towel rental and electric shower. 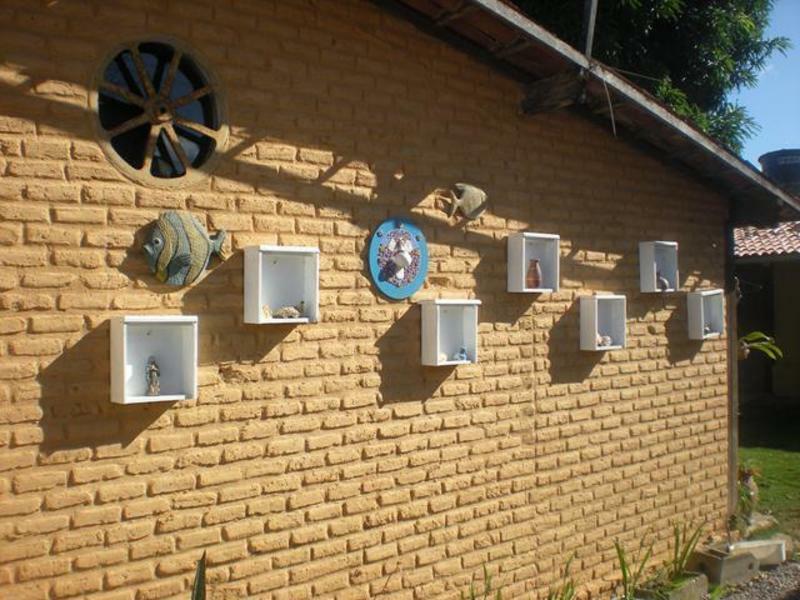 The village of Ponta Negra is a mystical neighborhood. We have native and foreign, and Brazilians from all regions walking through this ancient fishing village. Besides the lush beauty of Ponta Negra, guests can enter the local culture of the 'coco de roda', and folklore groups, besides eating good tapioca of the 'Tapiocaria da Avó'. We have bus stops right next to the place and do not offer parking. If the guest come to the airport or bus station, we offer transfer and it´s charged. If the guest wants to get bus there are routes available. We do NOT refund reservation tax. Reception time: 8am - 12pm and 2pm - 6pm. Smoking is forbidden inside the bedrooms. Outside, make sure you don't leave any cigaret and stuff. We do Not accept any other currency besides Brazilian Real. Guests of guests are not allowed inside the bedrooms. DO Moderate noise after ten. DO moderate the alcohol consumption inside the building. DO NOT, IN ANY CASE, use drugs in our home. From the bus station is a 16 min drive. Without traffic. Bus route: The bus ride is thick one, take the 66 from the bus station across the bus station. Get off at the Praia Shopping and take the 46, 83 or 54, it´s a 15/20 min drive, until the Praça do Cruzeiro, a square with a big cross on it. Ask the driver if unsure. the hostel is located at the first right after the Praça do Cruzeiro. From the airport: it’s a 20-30 min drive. Bus route: take the letter A bus, leave in the Via Direta shopping (mall), cross the street towards the Natal Shopping (another mall) and take the 46 or 54. It's a 20-30 minutes route until the Praça do Cruzeiro, a square with a big cross on it. Ask the driver if unsure. the hostel is located at the first right after the Praça do Cruzeiro. It's a 5 minute walk, tops.